ADAPT is proud to be a member of NVFAC, a membership organization designated by the National Rifle Association (NRA) as the State Association for Nevada. For too long NV shooters have not had a presence in Carson City, or in our local cities and counties. We have relied heavily on the NRA-ILA. It is the objective of NVFAC to be there and promote positive laws for NV firearms owners, clubs and organizations. It is time for Nevada shooters to have a voice in gun rights and gun law discussions and decisions. 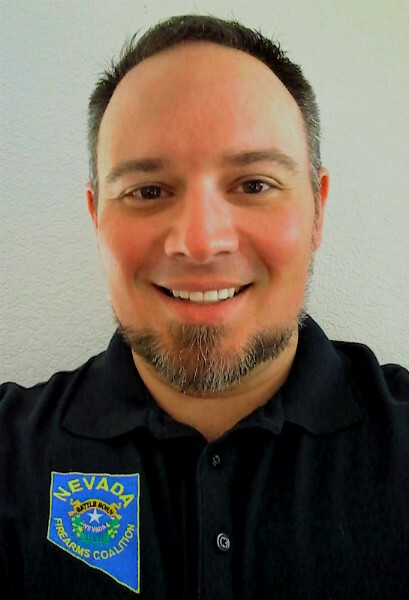 As well as being a member and supporter, Eric Loden was also the Fomer Director of NVFAC's Education and Training Division. Ask any ADAPT student and they will tell you we talk the talk, but more importantly than that, when it comes to second amendment advocacy and protecting our gun rights and freedoms, we also walk the walk. It is vitally important for ADAPT staff and close associates to support the NRA on a national level and NVFAC in our own backyard. Our immediate goals for NVFAC is to promote the coalition to all of our students, colleagues and the public; as well as to develop programs for women, youth and first time shooters. If you are a firearms owner, you need to be a member of the NEVADA FIREARMS COALITION. Don't hesitate to contact the President: Don Turnerhere with any questions you might have.